Featured in the New York Times Sunday Review, Catherine Hiller’s new book “Just Say Yes: A Marijuana Memoir” is essential reading for all cannabis enthusiasts. For those who use cannabis for recreation or medicine, one of the ancillary benefits is that it always seems to be able to bring people together. Countless friendships and even relationships have formed through the use of the plant, making it easily one of the most enjoyable, healthy, and affordable of social lubricants. Writer and author Catherine Hiller has taken that level of camaraderie to a new level. 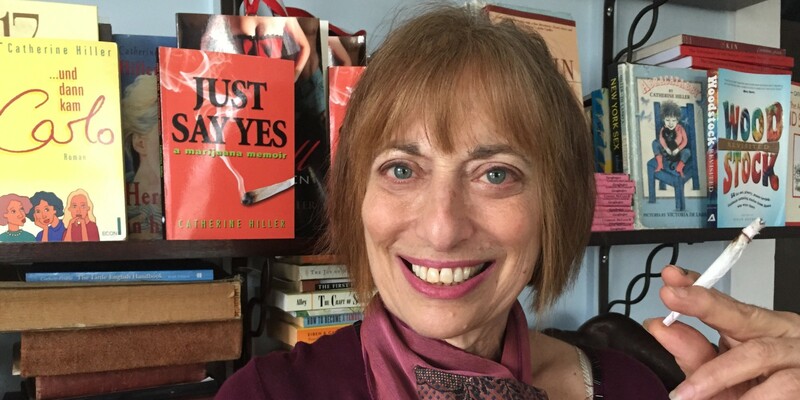 Her memoir, titled Just Say Yes: A Marijuana Memoir, documents a lifetime of enjoying cannabis and illustrates the ways in which the substance is continuing to change lives – both those of her readers and that of her own. Catherine Hiller is a native New Yorker, raised in Greenwich Village in Manhattan and Park Slope in Brooklyn. For a time she lived in Paris and then attended college back in Brooklyn. As many college students did before and since, it was there that Hiller made her first foray into using cannabis. I was a college freshman, 1963. I was interested in it because, at that point, it was not so common. It was the preserve of artists, intellectuals, and musicians. I had been reading about it. I always knew this was for me. After having tried the substance. Hiller knew that she had stumbled onto something that suited her. The feeling brought forth by cannabis clearly made a favorable impression on Catherine, seeing as how she used the substance regularly over the course of the next fifty-something years. For Catherine, however, the scope of cannabis’s influence and utility stretches far beyond the personal buzz that she obtains: She also celebrates the innumerable uses of the plant, especially its industrial and medicinal uses. Not only is it a wonder drug, it could save the earth. It’s a carbon sink. You could build a car out of it. You could make clothes out of it. You could make paper out of it, without using up all the water. Catherine touches upon many such themes in her book, which runs the gamut of all kinds of cannabis-related stories. A quick glance at the book’s table of contents reveals such diverse chapters as “Business Trip,” “Burning Man,” “Caribbean,” and “Woodstock”. An interesting decision Catherine made for the book was to structure it in reverse-chronological order: She worked backward through her life of cannabis use, starting with the more recent years and working up to her childhood. Catherine adopted this unique approach for multiple reasons. For one thing, one of the most transformative experiences of her life was a question posed to her by her stepfather when she was little, a discussion that influenced the course of the rest of her life; to end with that story provides a unique insight into the course the rest of her life was to take. Also, from a practical standpoint, readers have largely grown accustomed to a certain narrative arc when it comes to memoirs, which is something that Hiller sought to break. I thought the way to really go against this arc was to go backwards, so that people could see right from the beginning that this is not the trajectory my particular life took. Over the course of over a half-century of cannabis use, Hiller has taken care to note the positive changes she has seen in approaches to cannabis. During the accompanying tour for her book’s release, she was able to tour the states in which the substance had already been legalized for recreational use. That, she said, was a thrilling experience, as it was delightful for those who enjoy the substance to not be forced to hide their activities. She is quick to note the ubiquity and widespread use of medical cannabis, which she says is clearly already having an impact on medical patients across the country and the world. This was like the icing on the cake for me. Who knew that this thing that got me high and was such fun, also had profoundly beneficial effects if you chose the right strain and you were suffering? Hiller also does not take for granted that she has had a unique story to tell and that her life as a cannabis user offers her a unique way in which to share her experiences and her visions for the future. I think I came along at a unique moment in marijuana history, and I’m glad that, for once, my timing was right. This was something that people needed to hear – that you could be a lifelong smoker with no particularly deleterious effects and not be considered by anyone a stoner. Though Catherine’s writing has taken her all over the world and opened doors that had previously been closed, she is likely most proud of the way in which her experiences have managed to bring so many people together. This has been a kick. It has been a real thrill for me, this whole voyage of being open and speaking to people and reading things from all the people who I’ve met, who are almost uniformly interesting and fun. One particular story sticks out in her mind: A middle-aged gay man wrote to her to say he had enjoyed the first chapter of her book so much that he was saving reading the rest of it for when he could get to a particular beach in Mexico. According to Catherine, the man had already come to see the two of them as being kindred spirits. I love that. I love the bridge between me and other people. I can’t tell you how I’ve sought this all my life. And it had never occurred to me that my rather mild habit would lead me to this. 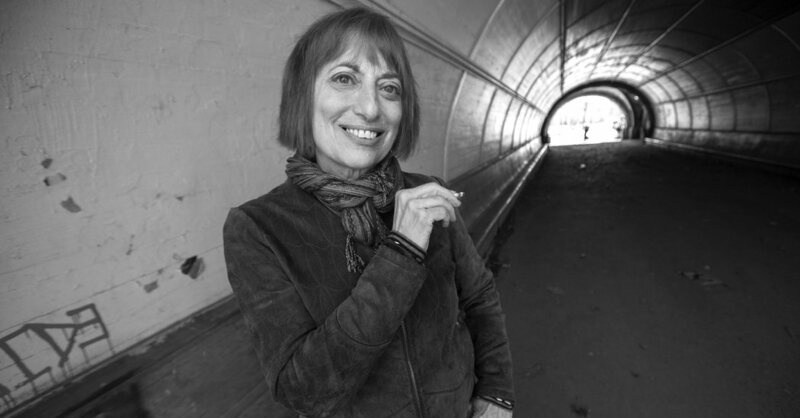 Catherine will be reading in Northampton, MA, Wednesday, February 8, 7:30 pm, at Raven Books as the first of a series, “Welcoming the literary liberation of marijuana”.